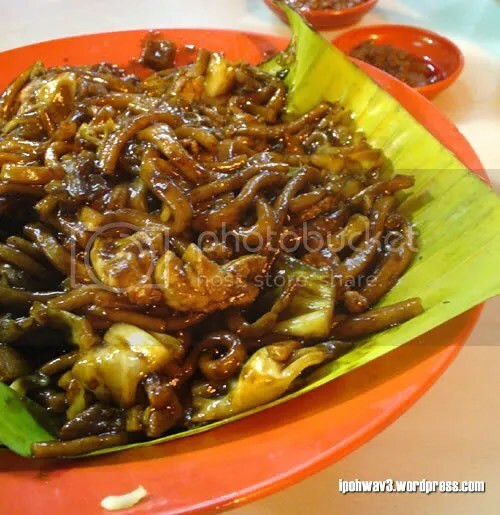 Nameless Hokkien Mee @ Maluri, Cheras | Ipoh Mali Talak Sombong! Last Saturday, after being told repeatedly by a friend about how long the queue was at a particular Hokkien mee stall in Maluri, we decided to go and try it out. It’s located near the junction of the PGRM building. 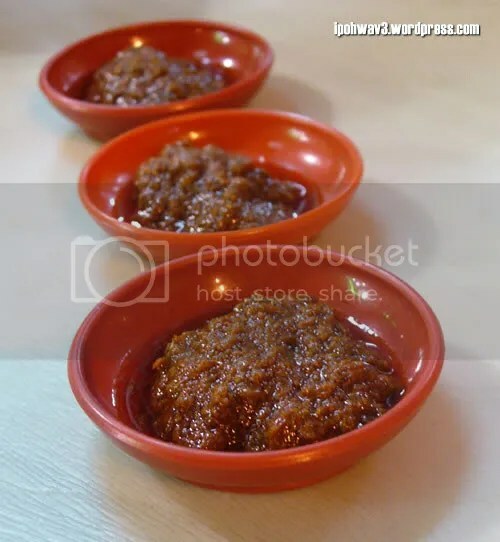 Homemade chilli paste is a must have accompaniment when having Hokkien mee. 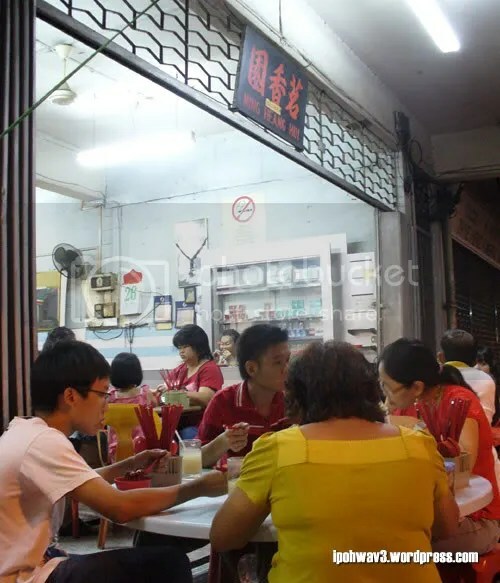 This stall also have other type of fried noodle such as braised yee mee, deep fried yee mee with eggy gravy, kuey teow in eggy gravy and Hailam mee. The Hokkien mee arrived first on our table (RM 5.00 for a single portion). The noodle was well tossed with crispy lards, pork slices, squids and shredded cabbage in dark soy sauce but sad to say, it lacks the wok hei and taste pretty bland too. And lastly, we also had the common wat tan hor (kuey teow in eggy gravy, RM 5.00 for single portion). Also lacked wok hei but the gravy was flavourful nonetheless. Prices was reasonable but too bad the food wasn’t up to its reputation as mentioned by my friend. I think some of the dai chow near my house and office cooks better ones. Direction: Coming from Jalan Cheras via Pudu, go straight till you see Jusco on your left. Go straight somemore till you come to a traffic light. PGRM building will be on your left. Turn right at traffic light and you’ll see Petronas on your left. The shop is just next to the petrol station. no wonder , its nameless ! wmw’s one in SEA park PJ has an 8 foot high wok hei so maybe you shud try that too ! Waloi so dissappointed! I want wok hei! So it must be a NO go! Maybe some time later if I amat that area! Next to the PGRM got a nice restaraunt, forgot the name! haha i always mistaken hokkien mee as prawn noodles. Mama Bok: Yeah, a mere disappointment. oh suppose to shoot lion dance and chap goh meh…but havent confirm yet. I heard the stall moved to some place near airport. Aiyoh…how to find? 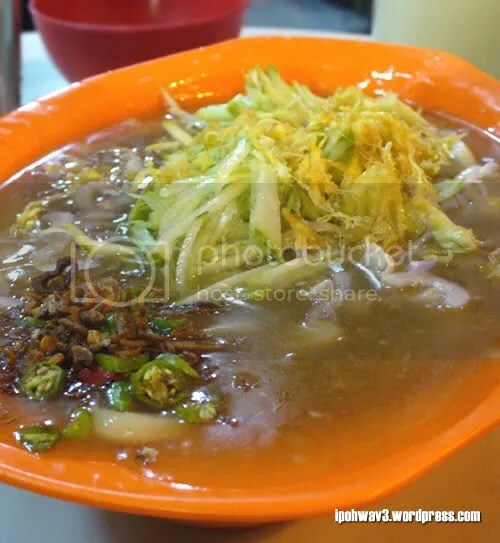 Thats why people call hokkien char in penang…lolz…hokkien mee refers to prawn noodle. When I first say the title of the post I tot you tried prawn noodle in KL XD which i think you havent so far. Next time when you come to PJ, i bring you to the one in Section 17, the one using Charcoal. Full of wok hei! Very nice! 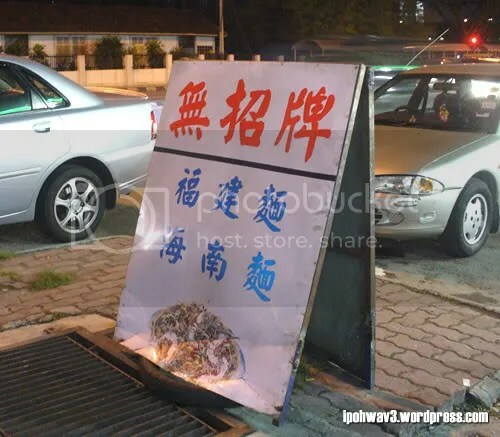 i remember this place..they use charcoal to cook..but apparently their stds have dropped by a mile..some say they r trying to serve more plates in a shorter time to fill up the demand.. Precious Pea: Oooo.. good good! LotsOfCravings: I didn’t see any charcoal that night but gas cylinders. Maybe they replaced charcoal with gas. Happy CNY to you yea! Christine: First ang pao from branch manager.. hehe. Where’s the shop? Happy CNY to you too! oh so fast dapat angpao…wahahahah ang pao mali mali mali!! Jian: The Petaling street one was mentioned in The Star’s guide book too. Yeah, ang pao mali! vkeong: Ops, seems like gotta change the name next time. Haha, use tissue lar. Nic: Yea, hard to find a good one. 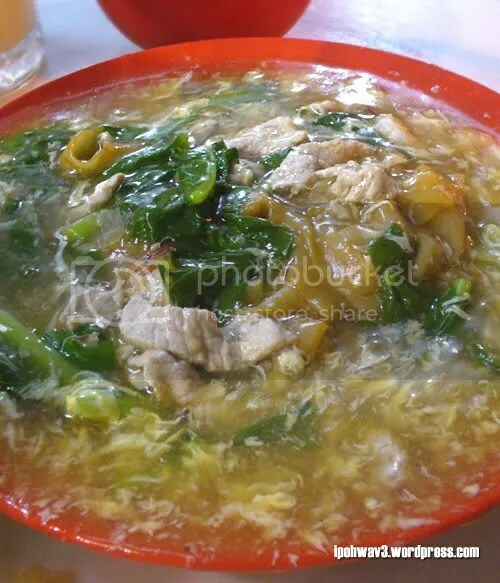 The wat dan hor ah… not watery but the chef added too much broth so the gravy was overflowing!